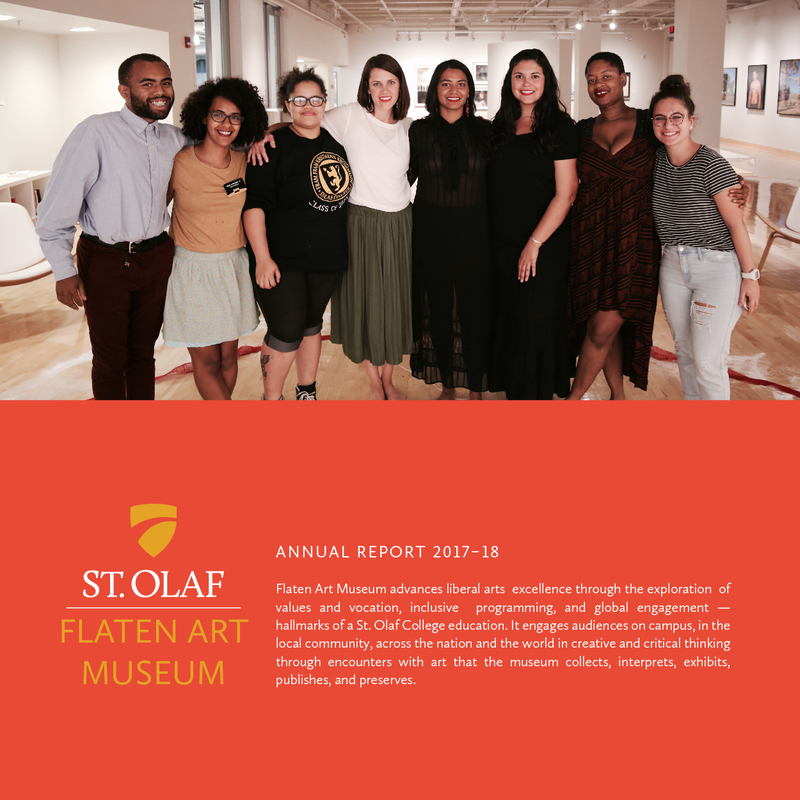 Flaten Art Museum advances excellence in the liberal arts through exploration of values and vocation, inclusive programming, and global engagement – hallmarks of a St. Olaf College education. It engages campus, local, and worldwide audiences in creative and critical thinking through encounters with art that the museum collects, interprets, exhibits, publishes, and preserves. Flaten Art Museum is located on the main floor of the Center for Art and Dance. 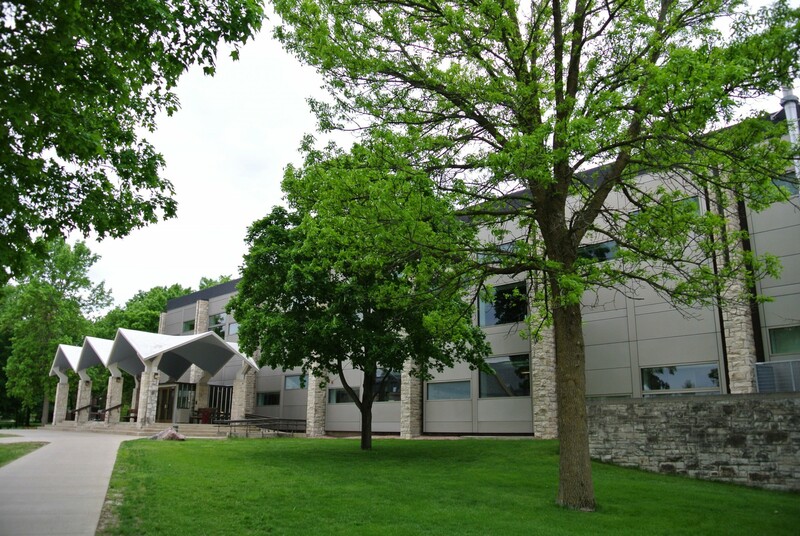 The first campus art gallery was housed in Steensland Hall, on the southeast corner of the St. Olaf College campus, adjacent to Old Main. In 1902, through the efforts–and a $13,000 donation–of Halle Steensland, the second building on St. Olaf’s campus, Steensland Library, was constructed. The tidy yet majestic Palladian brick building with its pillars and center stained glass window skylight functioned as a library until 1942 when Rolvaag Memorial Library was completed. In 1943-46, Steensland was used as a naval pre-flight school for WWII training. Following the War, the building became a recital and rehearsal hall for the St. Olaf Choir, and was used as such for many years. In 1976, Steensland again changed roles, and became the College’s first art gallery under the direction of Reidar Dittmann, Professor of Art History. The opening exhibit consisted of 19th century European works, the College’s art collection at the time. As Steensland’s new function took shape, the exhibits expanded. Among them was an show of Edvard Munch’s work in March of 1978, which drew 500 visitors opening day. Until 1989, the College relied on faculty in the art department to run an exhibition program on top of their teaching duties. In 1989 a professional part-time director was hired to relieve faculty of that duty. In 1991, the first full-time curator of the College’s collection and exhibitions was hired. The position involved developing, cataloguing and conserving the artworks that comprised the collection, and, of course, curating exhibits for the gallery. In the mid 1990’s, under the direction of Karen Helland (1991-1997), Steensland Art Gallery went through a Museum Assessment Program, and in 1996 became Steensland Art Museum. In February 2002, led by Jill Ewald (1998-2013), the Museum moved to the Center for Art and Dance, also the new home for the Departments of Art and Art History and of Dance. 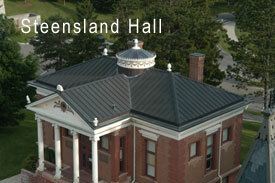 That same year, the art museum was re-named Flaten Art Museum in honor of Arnold Flaten and his family. Today the Museum is run by the Director, whose responsibilities include managing the collection and curating contemporary exhibitions, which are regional, national, and even international in scope. A half-time Collections Specialist is responsible for the day-to-day operations of the collection and moving art work into and out of the exhibitions. More than a dozen St. Olaf students are employed as Museum Assistants to ensure that the exhibitions are installed on time and run smoothly. Faculty show their most recent and sabbatical work at in Flaten Art Museum, and each spring the museum exhibits the comprehensive work conceived and produced by St. Olaf senior studio majors, giving them the opportunity to display their art in a professional setting.